With the explosion of online booking services for airlines, hotels, land transport, and packages, brick and mortar travel, tourism, and hospitality players have to change the way they market their services. While price continues to be an attractive proposition for travelers and holiday makers, convenience, trust and usefulness will grow in prominence as travel becomes commoditised. Having a website, social media account, and email newsletter alone isn’t enough. You need to use the full tools of social media and content marketing to drive targeted customer traffic, generate leads, trigger conversions, and encourage brand advocacy to win this game. So what can you do to boost your online and social media marketing efforts? Here are 10 ideas which you can use to start with. The first thing you need to do is to build your website on a strong foundation of Search Engine Optimization (SEO). 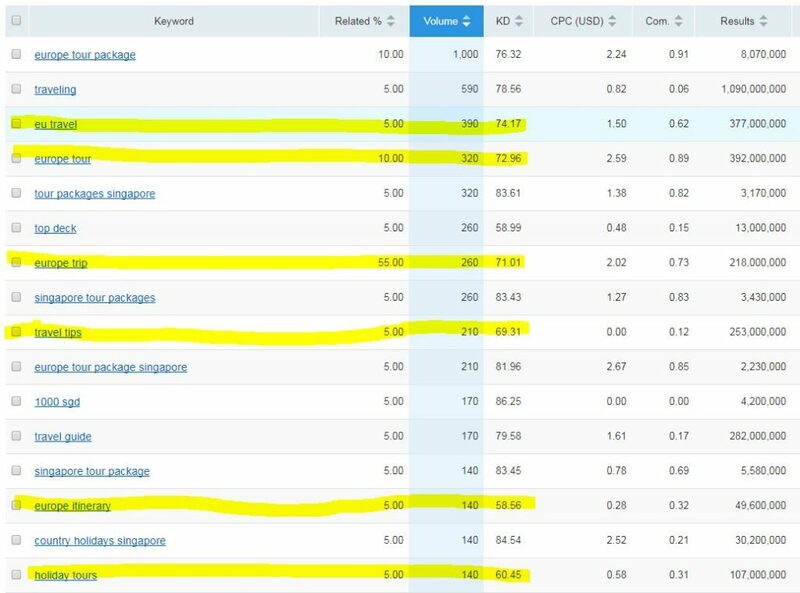 For example, if you are planning to provide Europe tours (for Singapore customers), you could use SEMRush to narrow down keywords that have at least a hundred searches a month, with a Keyword Difficulty (KD) below 75. From the list above, you can use a tool like LSIgraph.com to further tighten your search. This helps you to come up with content and blog topics that match the exact long-tail (ie highly specific) keywords that are searched for. 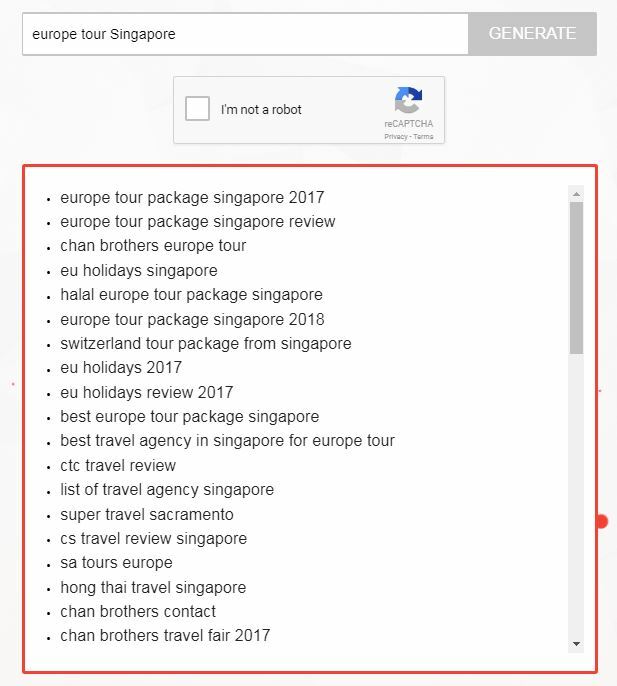 From the list of keywords above, do you see any opportunity for topics that your travel agency can write about? To learn more, check out this great guide to keyword research, as well as this list of useful SEO tools. Once you’ve identified the right keywords and topics, you’ll need to create content that matches what your potential travel customers are searching for. The best way to do so is to identify FAQs that your customers may have, and incorporating your keywords in there. The types of content which you should create may include blog posts (which are good for both search and social traffic), social media posts, videos, infographics and answers on forums like the ones above. You cannot promote a travel destination or hospitality service with just text alone. Not when your customers are taking tonnes of photos and videos each time they travel. To spice up your content, consider investing in great designs and images that are jaw droppingly gorgeous. 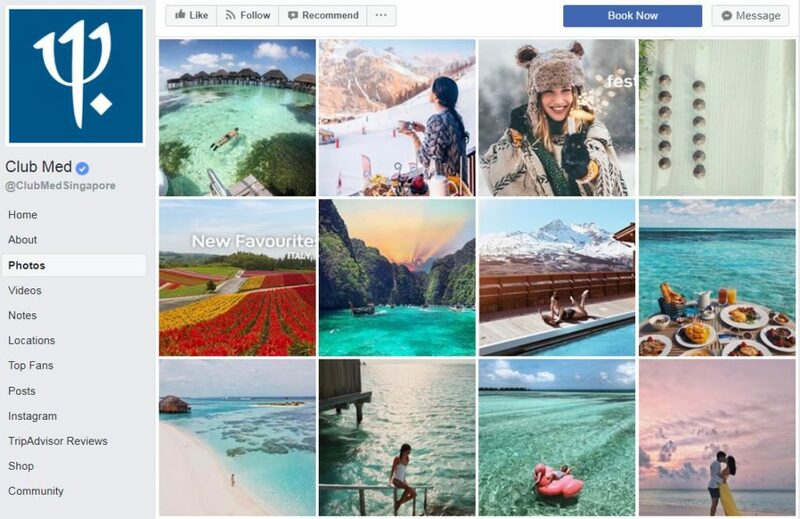 You can share these image posts on Facebook or Instagram, and use them to enchant and entice your customers to book a holiday immediately. Like Club Med below. One of the most frustrating problems travelers face is finding the right mode of local transport. As the proportion of Free Independent Travelers (FITs) increase, demand for useful information and content related to local transport will soar. Fortunately, most local train and subway operators in tourism capitals have come up with apps and maps that can meet this purpose. A great example here is the Paris Metro Map and Routes. 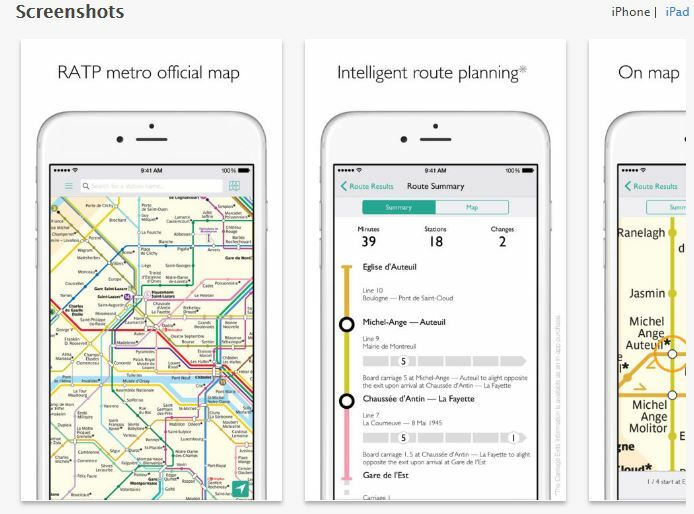 This useful app allows you to plan your train route around the labyrinthine underground network of France’s capital city. Beyond planning how to get from point A to point B, travelers are always searching for things to do, places to visit, and restaurants to eat at. Hotel chains have also been upping the ante in this space. The Pan Pacific and PARKROYAL hotels worldwide have provided hyper-local itinerary ideas which revolve around the locations of their various properties. 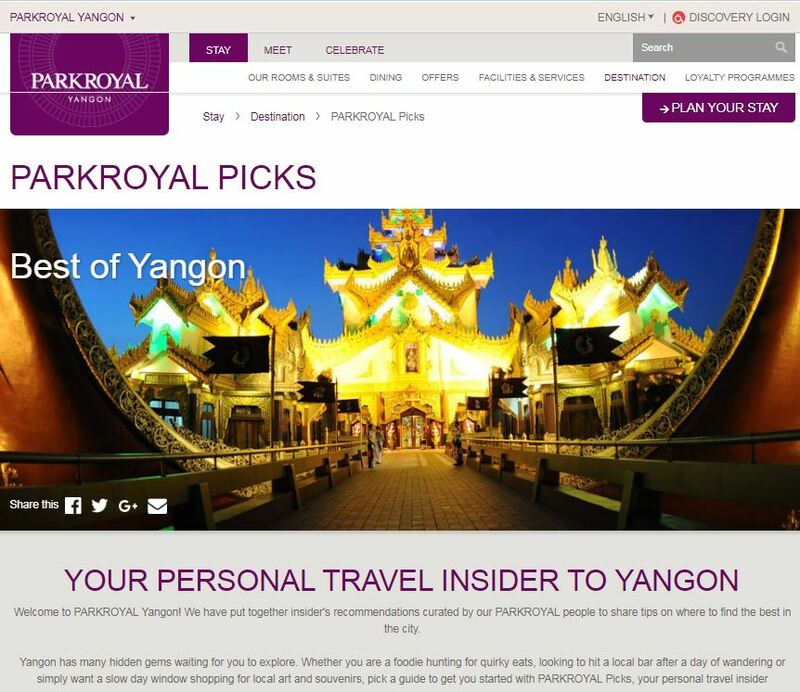 Here’s an example of how PARKROYAL Yangon provides insider tips (called PARKROYAL Picks) for travelers to Yangon. Disclosure: Both Pan Pacific and PARKROYAL Hotels are clients of the author. As taste-makers and opinion shapers, travel influencers can help to expand your reach to new audiences and communities. However, you’ll need to know how best to work with them. Define Travel Audience: Identify who your target customers are. Who influences their buying pathways from discovery, evaluation, decision to purchase? Discover Right Influencers: Match the right influencers to your targeted customers. They could be selected based on interests, behaviours, style, and similarities (eg geographical location, culture). Monitor Influencers: Study what the travel influencers write, photograph, or record on video. Are they relevant to your travel or hospitality business? Take Action & Engage: Build a direct and personal relationship with your influencers, discuss working arrangements (see examples here), plan possible iniatives, and implement. In the travel and tourism business, positive customer experiences make a world of difference. Studies have shown that 72% of customers cite customer experience as the greatest driver of spending. A good way to do so is to reply to all customer feedback on your social media channels or travel forums like TripAdvisor and others. 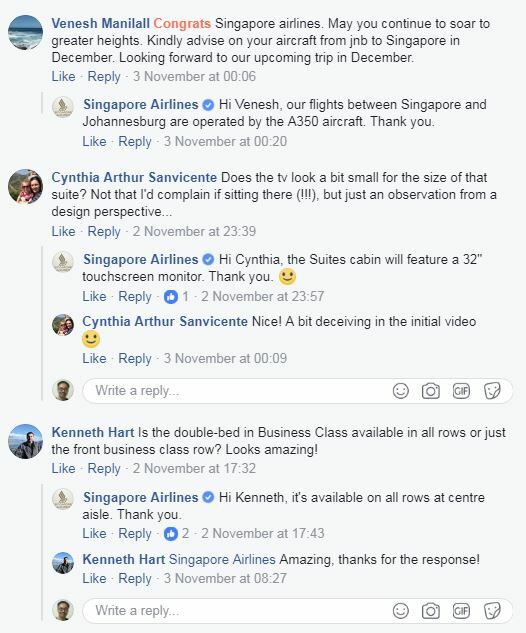 Here are some examples extracted from Singapore Airlines Facebook page. 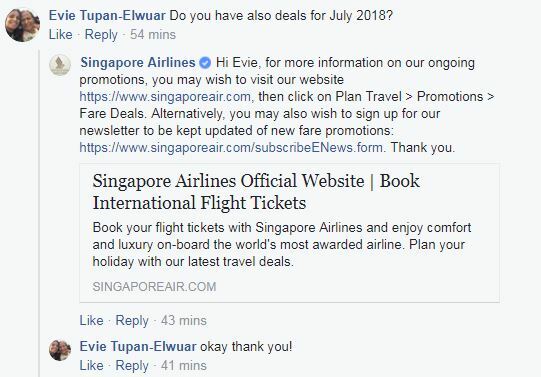 What I like about Singapore Airlines’ responses are that they are fairly quick, detailed (with appropriate links) and helpful. They’ve also taken the added precaution of not revealing their passenger’s details online; this not only protects the brand but considers the privacy of their customers. These days, your best form of marketing comes from your customers. 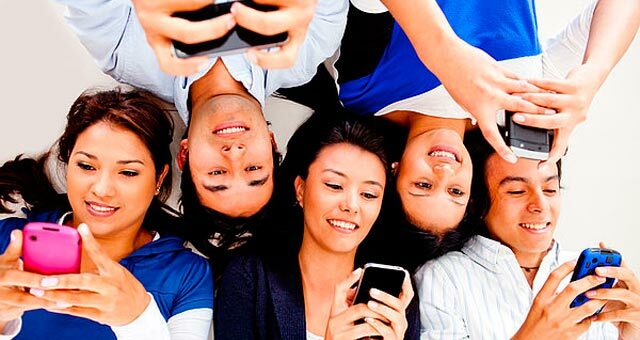 While your goal should be to trigger Word Of Mouth (WOM) marketing from your brand advocates, sharing positive customer content may also make a world of difference. 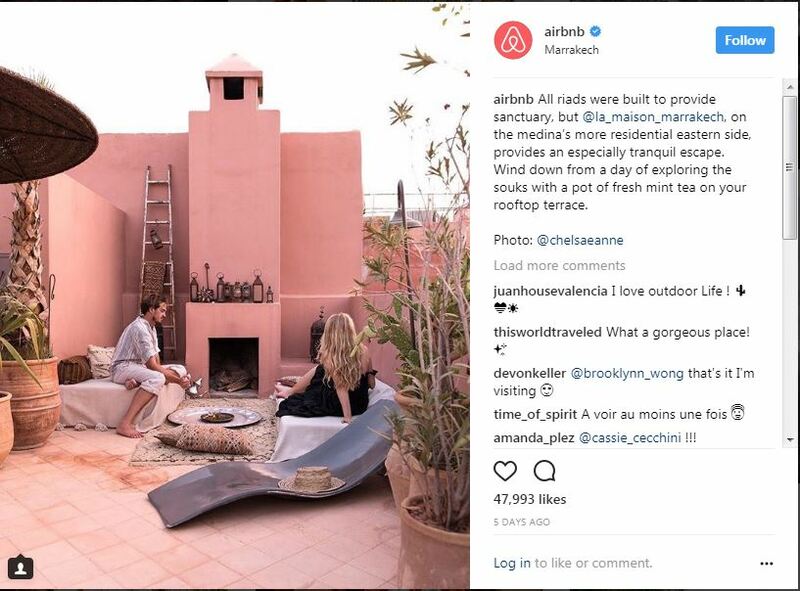 A great example here is none other than Airbnb. Their Instagram account regularly feature guests posts, and have gained a significant 2.5 million fans. Here’s an example of a recent post which features their client’s property and their guests. In case you don’t already know, gamification is transforming how businesses engage with their customers and other stakeholders. At its core, the basic elements of games – also known as game mechanics – comprise points, badges (achievements), levels, leaderboards, and rewards. 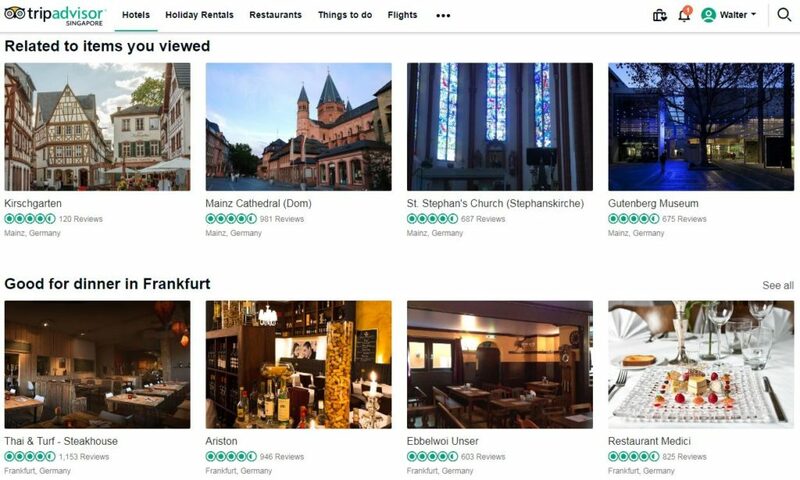 TripAdvisor: This all-in-one travel website provides customer reviews, scoring, and ranking across different subcategories such as hotels, things to do, restaurants, airlines, destinations and a whole lot more. By integrating with your social media profiles, TripAdvisor is able to personalise its recommendations, based on your viewing history. 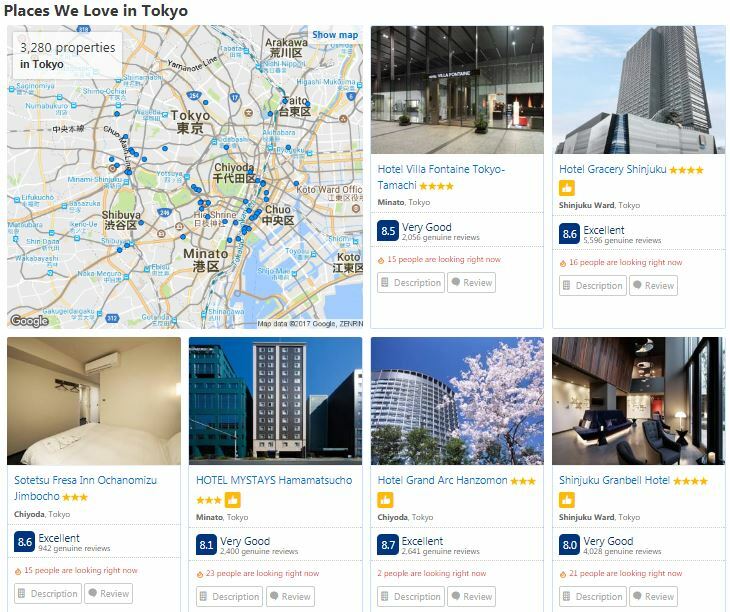 Booking.com: Like TripAdvisor, Booking.com uses a range of game mechanics such as hotel room prices, availability of rooms, and special deals to gamify the experience for users. It also provides incentives such as a penalty-free cancellation within a certain time-period, and lots of social proof (eg number of reviews) to built trust. Technically speaking, this should cover all your online touchpoints – website, social media pages, emails, and so on. The key thing here is to make it as simple and easy to book your services as possible. 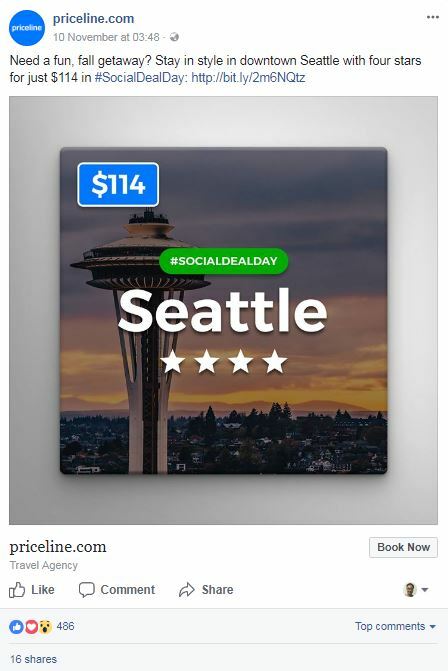 There are lots of online travel websites that do this well, but Priceline.com probably takes the cake. Just look at their website’s home page. Now that you’ve read about the different ways you can boost your social media marketing efforts, the next step is yours to take. Are there untapped niches for search keywords that I can consider? Am I creating content that my potential customers would find useful? Have I invested in building an online community for my travel brand? Are there social media influencers whom I can partner with? Am I spending enough time and effort caring for my customers online? Once you’ve done so, you can start creating the right channels, fill them up with the right content, and build the right community to grow your travel business. I am really happy to see your this post which is very good for readers like women and also for man. 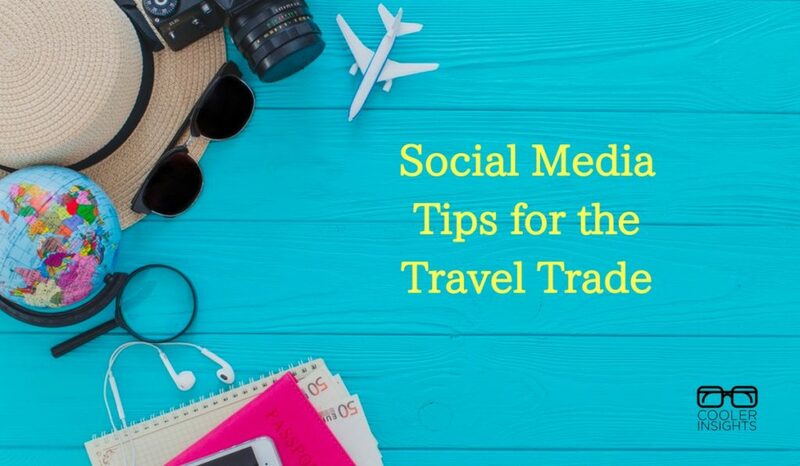 This is a nice tip to boost the travel company on social media. I usually care to how to boost traffic. Thank for your guide, man. And I think your method you show is really helpful for both SEO and drawing traffic to your website.